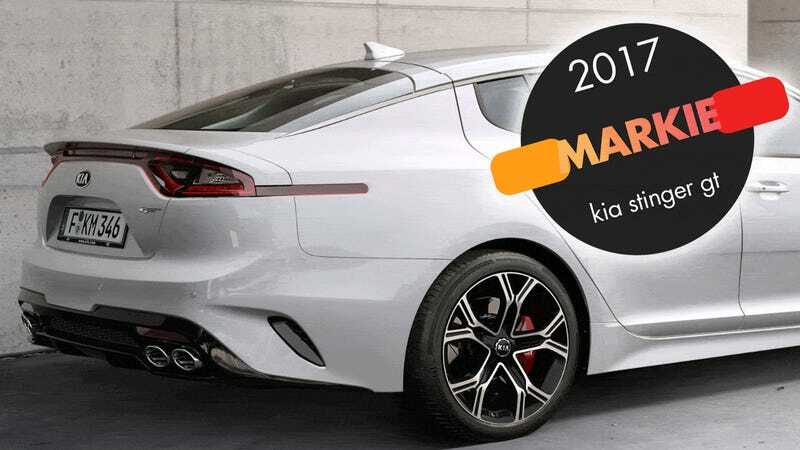 I’m proud to announce that the winner of the 2017 Excellence In Marker Lamp Design award, better known as the ‘Markie,’ has been awarded to the upcoming Kia Stinger GT. The Stinger’s bold, unashamed rear side marker light design is a revelation in the industry, and we’re delighted to give Kia the award this year. The Markies have been around since just now when I made them up, but have really been around since 2015, when I awarded what I’m retroactively saying was the first Markie to the McLaren 570S, for its dramatic and shockingly well-integrated front side marker lamp. Markies were not awarded in 2016 out of respect to the death of Garry Shandling, who probably hated any form of DOT-mandated marker lighting. The selection for this year’s Markie was quite easy; currently, we’re in a golden age of vehicular lighting, but there’s still a lot of effort spent to integrate side marker lighting into other light units or to place them in inconspicuous locations. 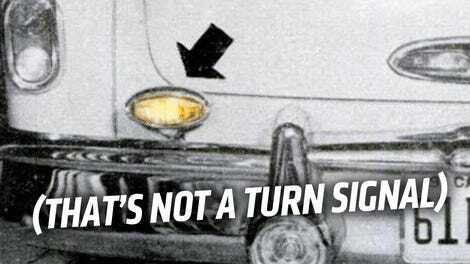 The side marker lamps of most cars are regarded as a necessary evil to be dealt with and possibly hidden. Kia breaks the mold by designing a rear side marker lamp that refuses to be hidden, and is, in fact, celebrated. The lamp grows organically out of the rear lamp housing yet still feels independent, bold, and unashamed. It adds a very welcome bit of graphical punch to the rear quarter design, and helps the Stinger’s already striking design stand out from the crowd even more. Yes, this red lamp marks the side of the car quite capably. But it also actually improves the overall look of the car, which is the most any side marker lamp can hope to achieve. We would like to congratulate the designers on Peter Schreyer’s Frankfurt-based design team, especially those involved with lighting design, and I would like to invite Schreyer and the team out to the Markie Awards Ceremony, to be held mid-September (date TBA) in the gravel parking lot in front of the NAPA Auto Parts store in Carrboro, NC. The Awards Ceremony is BYOB. Congratulations to Kia on their first Markie win! What Do You Think Of This Almost-Unknown Indicator Light?